Media captionJulian Smith would not be drawn on the pairing row, telling a BBC reporter "welcome to Skipton and Ripon"
Labour's deputy leader Tom Watson has accused Theresa May of making "blatantly untrue excuses" for the behaviour of her chief whip. 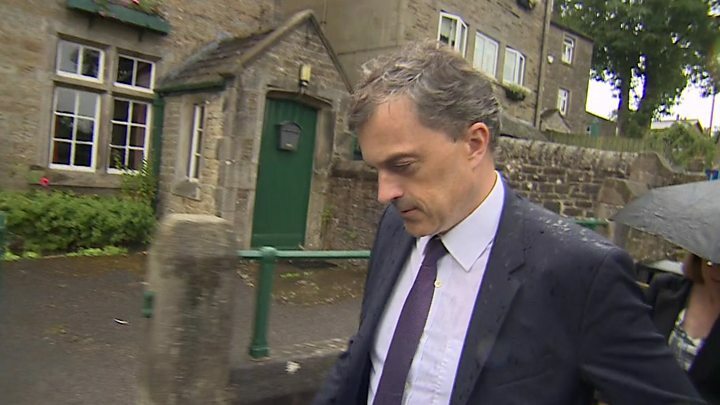 Mr Watson said the PM's defence of Julian Smith was "unbelievable" and public trust in politics was at stake. Pressed on Friday, the PM repeated her claim it was an "honest mistake". Pairing is an informal arrangement between two MPs of opposing parties that allows them, with the agreement of the whips (whips are the MPs responsible for discipline in each party), to miss occasional votes in the House - for example if they are ill, off on leave or out of the country. Mr Lewis, who was paired with the Lib Dem deputy leader Jo Swinson, did not take part in most of Tuesday's Trade Bill votes, but did take part in the two closest divisions - one on customs, which the government won by just six votes, and another on medicine regulation, which it lost. Both he and Mr Smith have apologised to Ms Swinson, who gave birth to her second son Gabriel on 29 June and is on maternity leave, saying it was an "honest mistake". Asked whether she endorsed her chief whip's conduct, Mrs May said: "There was an honest mistake made for which the chief whip and Brandon Lewis have both apologised to the member concerned." What is 'pairing' row all about? There is an old saying in politics. When you are explaining, you are losing. The Conservatives have been doing a lot of explaining on this pairing row. Tory sources are drawing a distinction between "long-term" pairing arrangements, such as those covering maternity leave which are sacrosanct, and "short-term" arrangements which, they argue, are frequently breached by all sides. The twist is they broke the long-term pair with Jo Swinson "by accident," and while they acknowledge Julian Smith did "explore and possibly instruct" shorter-term pairs to be broken, none actually were. Labour, to put it politely, say this is rubbish. "This is about trust and honour," a source tells me. "Julian Smith has tried to cheat, and should resign." Some Conservatives too are pretty angry. "Tacky," "dishonest," "appalling" and "concerning" are among the words used by some. But a government struggling to get its business through the Commons can ill afford to lose the man whose very job it is ensure it wins those votes. But they have faced furious criticism - both from Labour and the Lib Dems, and some Tory MPs - amid suspicion Mr Smith deliberately ordered MPs to break their pairing deals because the votes were so important. Labour deputy leader Mr Watson said on Friday: "It is unbelievable that the prime minister has repeated the desperate and blatantly untrue excuses made by her party chair and chief whip. "This is a serious issue that goes beyond efficient administration in the House of Commons. This is about public trust in politics. At such a crucial time for our country, people expect candour and decency, not cowardice and dishonesty." He said if Mr Lewis and Mr Smith would not resign, Mrs May "should find the strength to sack them". "From forcing seriously ill MPs into the Commons in their wheelchairs, carrying sick buckets, to cheating a new mum out of her vote, this government is rotten to its core." The Lib Dems have called on chief whip Mr Smith to explain himself after reports he told Mr Lewis and two other Tory MPs that they should go ahead and vote, despite being paired. Two of the MPs are reported to have refused to break their pairing arrangements. Conservative backbencher Philip Davies, who on Thursday became the third Conservative to declare publicly that he has submitted a letter of no confidence in Theresa May's leadership, told BBC Newsnight he had had his "differences" with the chief whip. But he said Mr Smith had "always been completely honourable, decent, I have never questioned his integrity once". "My understanding is that in this Parliament alone the pairings have been broken over 50 times .. and the overwhelming majority of those times, it was broken by opposition parties," he added. 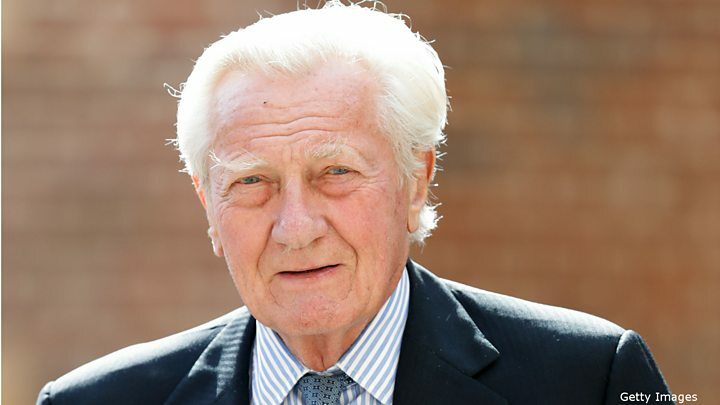 Referring to the absence of the Lib Dem leader and his predecessor from Tuesday's votes, Mr Davies said: "I think this is a diversion tactic from the Lib Dems because Vince Cable and Tim Farron couldn't be bothered to turn up for a vote." But other Conservative MPs, including Anna Soubry, Peter Bone and Heidi Allen, have also raised concerns. Mrs Allen said the chief whip had been "unable to confirm to me that he did not give instructions to break pairs" and she could "only conclude MPs were told to break pairs on Tuesday". "I refuse to be tarnished by this behaviour so will not stand by and say nothing. Integrity and honesty are fundamental to our democracy. Anything less is unacceptable."